Vancouver candymaker. I’m a busy beaver, working hard on my first collection of odd little sweets. Gimme that sweet email for launch updates & tasting invites. Sugarfina Candy doesn’t make candy. Maybe that’s ok? But maybe it isn’t? Sugarfina is one of those self-described “luxury boutiques” that takes a quotidian idea — the candy shop — and tries to elevate it with a curated inventory and an eye for design. They’re pure Beverly Hills: all light and airy and white and Wedgwood blue, with “candy concierges” who presumably compliment your exceptional taste while selecting the perfect palette of gummi bears for your engagement party. Normally, the thought of being approached by a personal shopper makes me slither out of my skin and down the nearest storm drain. But, the things is, Sugarfina has some genuinely fantastic candy. I’ve been stalking them online for a few years, so when a small Sugarfina shop opened inside Vancouver’s new Nordstrom’s department store, I popped in for a look. The folks working there were plenty friendly, if a little over-attentive for my comfort. And although they didn’t have much substantive to say about the product (other than “These are so good!” and “Isn’t it pretty?”), I do have to give them credit for being forthcoming about the fact that Sugarfina doesn’t actually make any of it. Instead, they just source and repackage. No different than most private labels and bulk candy shops out there, who find anonymous manufacturers making something they like and put it into branded packaging. No harm there, really. And yet, I walked out with a small plastic box of lovely sweets and a curmudgeonly wrinkle between my eyebrows. So what’s my damned problem? In the interest of fairness, let’s start with the good stuff. Peppered through the store were some candies that I was genuinely excited to see. 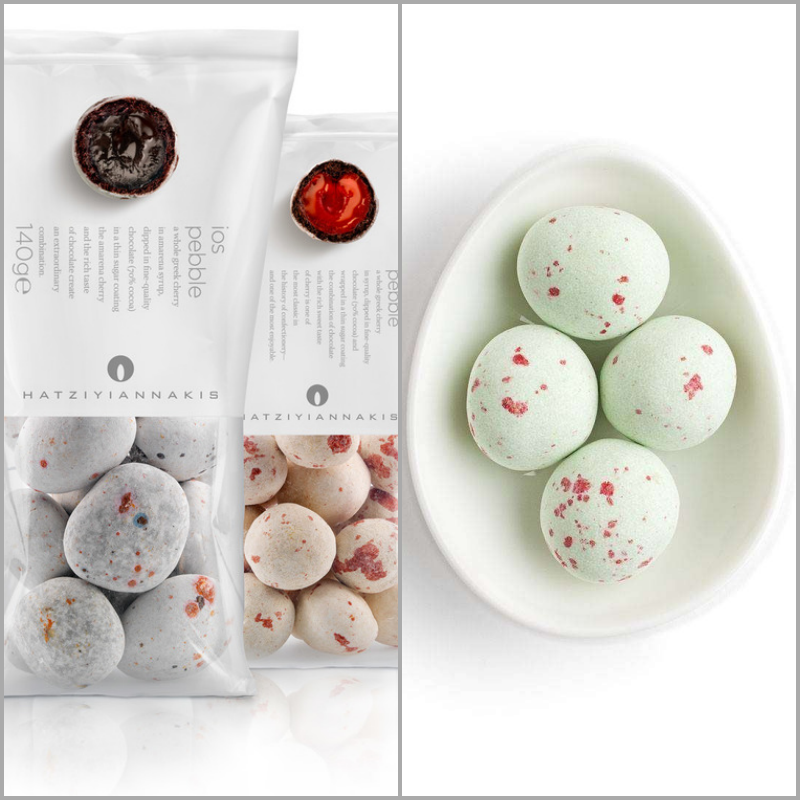 Like sweet pebbles made by Greek dragée-maker Hatziyiannakis, featuring a whole tender cherry preserved in Amarena cherry syrup, dipped in 70 percent dark chocolate, and then encased in a crisp sugar shell. They look incredible, taste incredible, seem to be impossible to buy outside of Greece, and I ate every last one of those pricey little bastards before I even got home. So, it’s great to see quality sweets like that being offered to a wider audience. I wouldn’t say it’s what they’re living for, but Sugarfina does seem open to carrying some off-centre flavours that wouldn’t get much play in typical candy aisle. Rose, violet, maple and bourbon, scotch, and champagne. Nothing Earth-shattering, but there it is. Especially compared to flaccid peg-bags, Sugarfina’s packaging is handsome and well-considered. They’re working to turn candy back into a real, acceptable, thoughtful gift for adults rather than just a 7-11 impulse buy, and that gets a nod of approval from me. Now let’s get to the curmudgeon stuff. Remember that nice packaging I just mentioned? There’s a lot of it, pound for pound, and a good chunk of it doesn’t appear to be recyclable. The core of their packaging system is clear, heavyweight plastic boxes that aren’t marked for recycling. Their marketing materials say it’s made of Lucite — which is a brand of acrylic or PMMA — but it feels more like good ol’ polystyrene to me. Neither are readily recyclable in most municipalities. It may have nothing to do with candy, but I find it pretty galling for a premium-priced product, and having to throw that big hunk of plastic into a landfill is exactly what’s stopped me buying from them again. Celebrates “artisans,” hides their identities. Sugarfina makes a BFD about how they’ve scoured the globe, tasting the wares of “artisan candy makers” and selecting only the best for us. And yet, they go out of their way to deliberately obscure who actually makes their candies. I already mentioned Hatziyiannakis, whose “Ios Sweet Pebble” is redubbed the “Athena Black Cherry” by Sugarfina, who explain that it’s “the candy of the gods . . . from the Greek island of Ios.” (They’re not. They’re from the outskirts of Athens. They’re just named after Ios.) “Pairs perfectly with a fruity Cabernet.” (I dunno, whatever, sure.) Nowhere does it bother with the name Hatziyiannakis. Hatziyiannakis on left, Hatziyiannakis via Sugarfina on right. It gets more annoying. If you’re really into candy tradition, you know the name Pietro Romanengo fu Stefano; they’ve been plying their trade in Genoa since the 18th century. To this day, they make some truly boss sweets — from panned fragments of cinnamon bark, to itty-bitty rose cordial drops, to mysterious jars of manna preserve — all of it touchingly old-fashioned and somehow impervious to erosion by cheapening commercial trends. 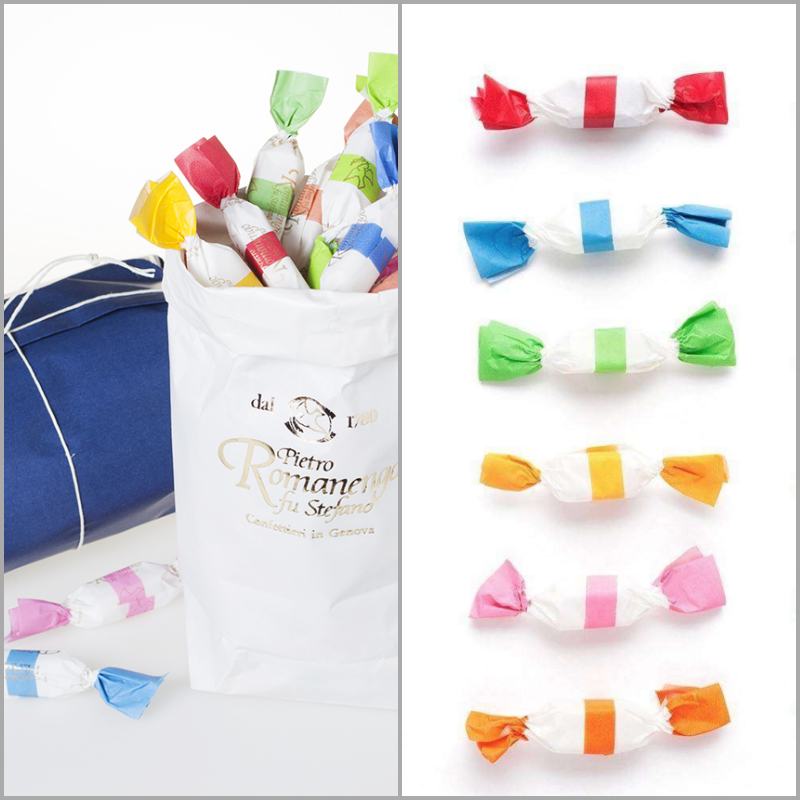 Hiding the fact that the candy you stock is made by Romanengo is truly bizarre, akin to hiring Rene Redzepi to create your restaurant’s menu but not bothering to tell anyone. More than that: you misrepresent the facts about the dishes so nobody can trace them back to the source. Like I said, bizarre. Romanengo on left, Romanengo via Sugarfina on right. Of course, it goes the other way as well. 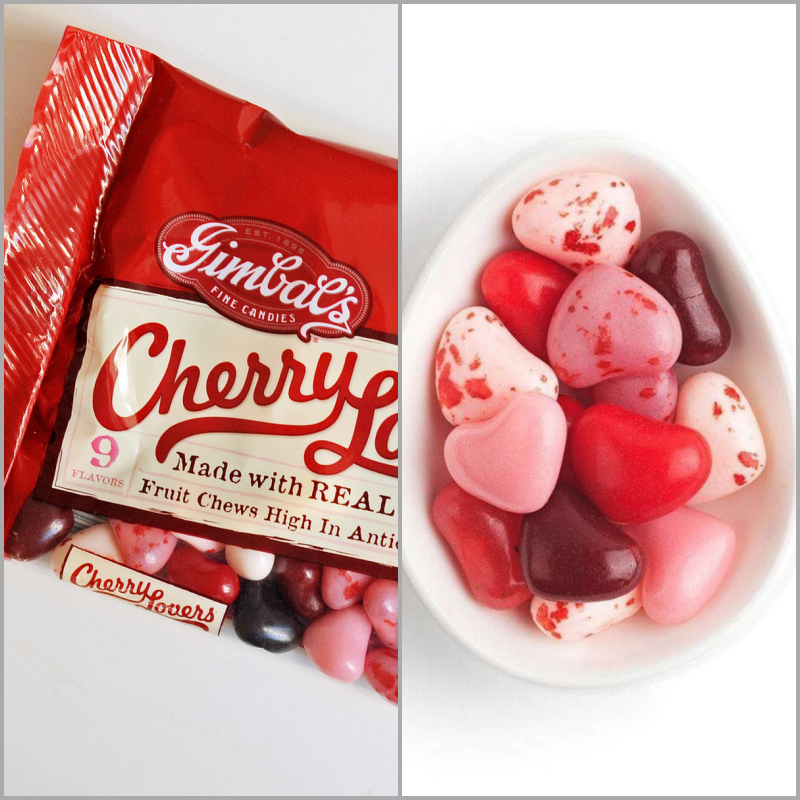 Gimbal’s doesn’t make terrible candy by any means, but they’re an industrial-scale, mass-market candymaker whose products can be found in half of the drugstores across the USA. About as far from “artisanal” as you can get without being Kraft. And yet, there’s Gimbal’s stuff right next to the Pietro Romanengo’s at the same price point. Granted, Sugarfina has changed the name from “Cherry Lovers” to “Cherry Sweethearts artisan jellybeans” to help with quadrupling the price. Gimbal’s on left, Gimbal’s via Sugarfina on right. Marketing over substance, brand over quality. Here’s what it really comes down to. Pore over Sugarfina’s marketing material and you won’t find any real commitment to better ingredients or responsible supply chains or traditional methods or artisan producers. What you find is a lot of repackaged mass-market candies, vague allusions to “small batches” and “finest ingredients,” lots and lots of words like premium and luxury and top-shelf and gourmet, and more than a few inaccuracies and obfuscations. I know, I know. It’s just candy. But I have simmering nerd-rage for brands that sell the ideas of luxury and artisanal but don’t actually manifest those ideas in exceptional products that celebrate real craft. If Sugarfina just positioned themselves as a fun, edited candy shop aimed at adults, I’d be game. Instead, what they’re serving up is hollow luxury: overpriced, over-packaged, over-inflated, underwhelming. Previous Previous post: What is turrón? Seriously, Spain, I need to know. Next Next post: Autumn, dammit.